How does NVC Expedite work? I still have to pay all fees (done), fill out the DS-260 (done) and upload the civil files (waiting on Korean PC and NBIs). Their instructions say to upload everything and then send the identical papers to them via snail mail. Where does the expedite come in? It is moving but I guess I am confused with the process. You have expedite accepted but was it approved. Expedites at NVC go to the Embassy it's their yes or No. Some embassies when petitions are expedite they do all the processing. Some have you still go through all the processing at NVC. It's embassy specific. I have seen expedites approved and people have interviews within 2 to 4 weeks . Fees paid online some pay fees at embassy just depends on embassy. USEM has approved the expedite. I was told I have to pay all fees and submit the paperwork to NVC first. I'm just not sure where it goes from there or how quickly. I will have the last required papers in place on March 29 (not holding my breath...these are the NBI PCs). 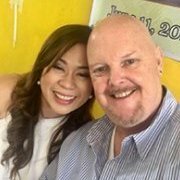 My son and I are going to the Philippines on a planned visit on April 13. I doubt if we will make that window but it would be nice since we will be there anyway. NVC schedules your interview and you'll see just like when scheduled the K1. I don't think NVC knows expedite speed. I'd follow up with NVC to insure it doesn't sit. I do notice you aren't waiting "in line" all that long at NVC .. once they have the PC and NBI, all the fees are paid, I would expect you would get a quick interview date. I feel bad that we didn't have NBI and the Korean PC in place. We are just 6 months into the CR-1 so I honestly wasn't expecting to hear anything for a few more months. Now we are trying our best to get the interview during the visit. We all know it is probably out of the question but who knows? I think the PC would be the anchor in your adventure. Aira turned 16 so we have to wait for her first NBI. We figure we will get all new ones. The Korean PC hurts a little as we have the PC copy from last year but they state it has to be an original. She hasn't been back to Korea since 1999. We were told to pick that up on March 29. My hope is to have NBI by then so we can finish filing with NVC. Everything else is uploaded and waiting on the "submit" button. Ah yes .. the magic number. It will all move very quickly until CFO. You will have to wait on CFO as the kids attend PDOS and they will need their visa in the passport for that. Yep. At that point at least we will have the visas. After the K-1 we just want to get to that point. There is a lot of latent stress over that.